Prescott features some of the most diverse mountain bike riding in the Southwest, with everything from singletrack winding up and over pine-covered mountains to technical granite slick rock structures. An overview of each key riding region is below. 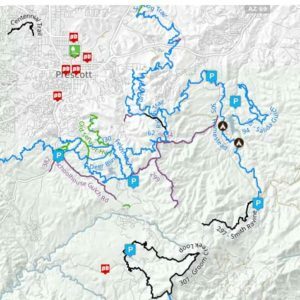 Beginner and intermediate single track that winds through a mixture of ponderosa pines and boulder outcroppings with lots of freshly cut trails, including a double-diamond rock feature called “Lloyd’s Drop!” Spectacular valley views can be found from upper trails like West Side Story and Skyline. Soaring to 6,514 feet, Thumb Butte is Prescott’s iconic natural landmark. The entire recreation area is one of the most popular destinations in the Prescott National Forest. 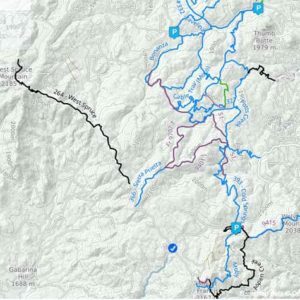 Beginner through advanced single track weaves across a landscape of rolling hills and granite outcrops while passing through a variety of vegetation. 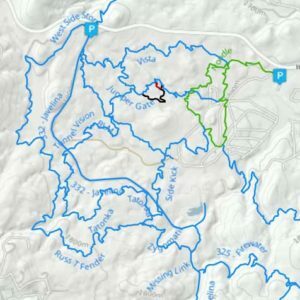 This diverse area features trails for beginners and experts alike, with newer and older trails, long climbs, short loops, and everything in-between! Much of the singletrack circles Goldwater Lake and Lynx Lake. 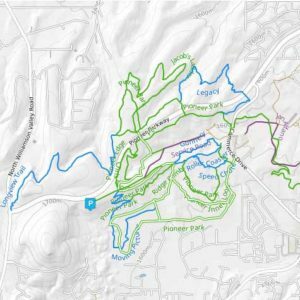 Beginner and intermedia trails across 280 acres feature a variety of terrain, sweeping views, and lots of miles. Nestled in-between the city and county’s central park for outdoor sports, many of the trails recently underwent a massive reworking for improved drainage and bike flow. Nestled among pines and boulders of Prescott’s iconic Granite Mountain, Granite Basin offers a variety of beginner through expert trails. Easy singletrack to steep off-camber and technical rock gardens. Many of the trails originate from Granite Basin Lake. 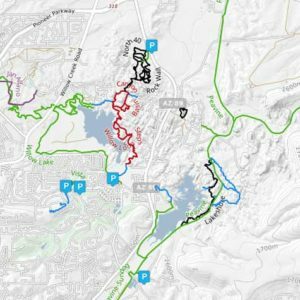 A unique collection of technical and rocky terrain trails combined with wide beginner trails that offer riders of all abilities amazing views of the unique “Granite Dells” and both Watson and Willow Lake. A towering giant overlooking Prescott Valley, Mingus Mountain offers a unique experience for both the backcountry biker and downhill shuttler. 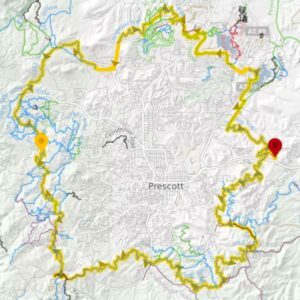 Tour all of Prescott’s regions on this 56-mile loop around town. 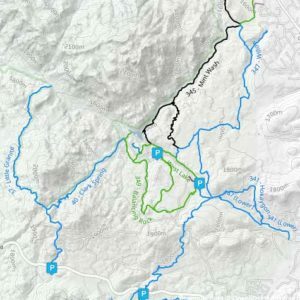 This ride can be started in any number of spots around “The Circle” and can be ridden in either direction over a single-day or multi-day with ample camping opportunities along the route. Park at In-N-Out Burger on Highway 69. Ride west out of the WalMart parking lot and through the car dealer parking lot, past the service garage. Look for the doubletrack and go a short distance down to where the singletrack crosses. Take a right and follow Circle Trail signs throughout the entire loop.